I visited Tokyo Disneyland on my third day in Japan. Every little girl’s dream and disney lover is to go to disneyland and meet our favourite princesses and other disney characters. I just had mine fulfilled. Adults are filled their heart with childhood dreams and children are filled their heart with the imagination. Disneyland was to be expected amazing! There are lots of rides,parades,amazing restaurants and finally the charming Disney Characters. Most popular rides had queue times exceeding one hour, even with fast pass use. It’s a nice idea of having Fast Pass for those who managed to get it, because its just limited. It’s a virtual queuing system that allows guests to avoid long lines at the attractions on which the system is installed, freeing them to enjoy other attractions during their wait. The service is available at no additional charge to all park guests. I got fast pass in few best attractions, so make sure to choose the best attraction first when you visit. Get all the best rides out of the way first. Depending on your taste when entering (assuming you get there when they first open) run to your favourite ride. After riding on those best rides I grabbed for some food at Plaza Restaurant in Tomorrowland. 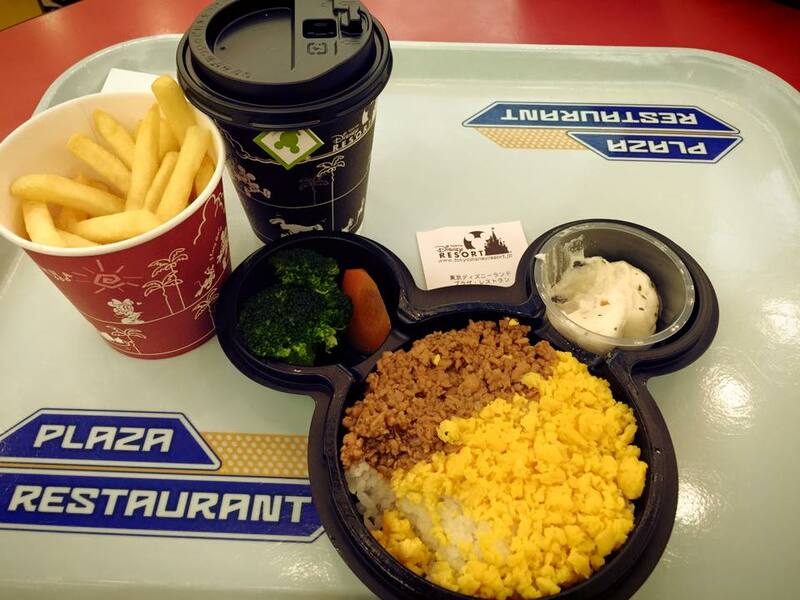 They offers a variety of Asian dishes served in those cute mickey mouse plates. I couldn’t find a seat because it’s so crowded and there’s one courteous local family offered a seat and I shared with them. I had nice conversations with them and the kiddo was so happy sharing about his teacher from Philippines when he knew that I am from Philippines. It was just a quick conversation as we need to enjoy the park. It is always so good to meet these kind of people, like also those service crew in all the souvenir shops, restaurants, push-cart stalls were all polite and friendly, even though some can’t speak English. They tried to help by all means. Lines get extremely long for everything. However, this does not dampen any spirit in there. 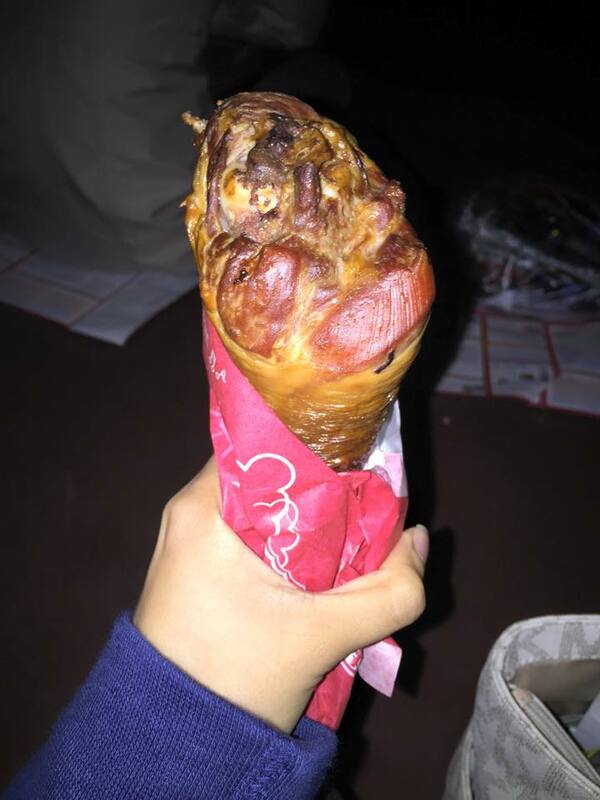 Before the Tokyo Disneyland Electrical Parade starts I grabbed some turkey leg, I am quite full but it urges me to buy because the queue was crazy but its worth it. The legs are massive and should be shared with someone you love. Taste like smoked ham where it can get messy, so make sure to bring lots of napkins. The parade started and it was awesome. You should pay attention to when the parades take place. When the parades started there were masses of people gathering around the street. The final show at the end of the day was excellent. Even though I am not lucky enough to get excellent seats in front of the castle, it was a perfect end to a great day! Lastly, make sure you get there early and make the most of your day as its awesome. The real issues are that everything is in Japanese. Some places accept credit and others don’t, so take cash just in case. Too crowded with limited time. Queues were too long, and very late notice given of fireworks cancellation. Nevertheless, I certainly enjoyed my trip there and one day is surely not enough to try all the attractions.